This is some of why people from 30 countries and all 50 states have traveled here for their hypnotherapy training. Hypnotherapy requires the skillful use of healing semantics. In essence, it’s like learning a new language, and we all know the most efficient way to do that is by immersion training, also known as “accelerated training format.” For this reason, we provide up to 500 hours of on-site hypnotherapy training. In our three decades of teaching hypnotherapy for professional certification, we have learned that the best and only way for graduates to become fluent in healing semantics, and to leave with greater skills proficiency and confidence, is through on-site participation. 2) Learn more in less time. Research shows that the adult learning system that we utilize helps students retain from 50% to 80% more information. You receive state of the art hypnotherapy training materials, including our 1000-page training manual which was designed using the Information Mapping™ methodology. This means you will learn the technical information with less effort. It is packed with all the step-by-step hypnotherapy protocols, and word-for-word hypnosis procedures to address clients’ issues. 3) Time tested and finely tuned curriculum. We are celebrating our 30th year as a state-recognized/licensed hypnotherapy training. (Originally named Southwest College of Hypnosis.) During this time we have honed the curriculum to provide you with everything you need to know to start your hypnotherapy practice and help people in a profound way. So far, we have graduates who have traveled from 30 countries and all 50 states in the US. 4) Live training with experienced practitioners. Our on-site hypnotherapy certification training provides you with valuable one-on-one support from our professional coaching staff. This is especially important during clinical skills development periods. Our experiential style (you get to experience the methods) provides you with ample time to develop confidence with the techniques. Because we teach from the experiential model, you have the added benefit of experiencing the healing and transformational methods first hand. Graduates leave feeling renewed, and many tell us the supervised practice sessions alone were worth the price of admission. 6) Methods scientifically verified as effective. 7) The Hypnotherapy Academy educational facility is designed for optimum learning. Its layout includes a spacious classroom and multiple hypnotherapy session rooms for “real-life” practice with your classmates. See the Photo Gallery. These are some of the ways we support you in graduating sooner so that you can be part of the people helping profession, without compromising depth or breadth of knowledge. Click here to download class schedules, tuition options and catalog. The demand for competent clinical hypnotherapists who have a broad base of knowledge and effective practical skills is growing by the day. Just recently a local physician called the school to arrange medical hypnosis sessions for a patient who has non-organic chronic headaches. To assist taking hypnotherapy into this new era of acceptance by the mainstream, hypnotherapy schools must increase their contact hours with students, improve the quality of their curriculum and update their teaching methods. Sure, in the 1980’s and 90’s a course with 150 or 200 hours of hypnotism training and the outdated “just watch me and learn” style seemed like enough. But in the 21st century, with billions of dollars being spent annually on complementary therapies and alternative medicine by intelligent, well-informed-consumers, a hypnotherapist lacking in-depth training just won’t cut it. What’s even worse are the hypnotism diploma mills claiming that distance learning or correspondence courses can prepare a person as a professional in the people-helping field. The hypnotherapist most likely to meet the demands of this evolving climate is the one with the best education. Hypnotherapists skilled in advanced techniques simply help people reach goals quicker, solve problems with more ease and achieve greater degrees of personal growth by empowering them with self-help methodology. This saves the consumer money, time and effort while on the path to wellbeing. dynamic classroom lectures and feedback sessions. The Hypnotherapy Academy of America focuses on in-depth instruction in the most effective hypnotherapy methods, which we call “Integral Hypnotherapy™.” Integral Hypnotherapy™ is the complete hypnotherapy system. 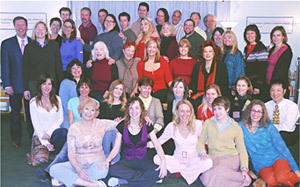 It integrates classical hypnotherapy with modern techniques. It also integrates perennial wisdom traditions, philosophical counseling, life skills coaching and applied mind sciences. This is why we are rapidly becoming the most sought after professional hypnotherapy certification program in the world. Most other schools provide very limited training. Students may receive only a few hypnosis induction methods and therapeutic techniques such as suggestion therapy and guided imagery with a handful of pre-structured scripts to follow. If you have been searching the web you’ve probably run across many so-called “hypnosis schools” with impressive sounding names, that are only three to six days in length, or only on-line or only train by correspondence. Some offer “blended” training with “massed” practice sessions which is simply less effective than “distributed” practice provided consistently throughout your training. Learn more about the differences between online training and classroom training by watching this video. Experts agree that hypnosis is simply a natural, altered state of mind where communication with the subconscious mind is facilitated. Hypnotherapy is the application of universally accepted self-discovery techniques and self-empowerment methods (during an altered stated of mind) that free you of fear-based programming and assumed limitations. This provides for an ongoing experience of your natural state of health, joy, abundance and love. Tim Simmerman Sierra’s training program at the Hypnotherapy Academy of America, is considered an “advanced level course” from beginning to end. Yet, previous training in hypnotherapy or college credits is NOT required for attendance. Upon graduation you will be able to immediately start helping people solve problems, resolve conflicts and reach goals as one of the most highly trained practitioners in the entire field of hypnotherapy. The Academy’s professional preparation program offers you up to 500 hours of training in what you need to know to succeed in hypnotherapy. At the Academy you learn the most important specialty applications. For example, you will receive instruction in smoking cessation, weight loss, ending anxiety and stress relief and habit control. While hypnotherapy is never intended to replace medical or psychiatric treatment, it has proven to be an important complementary therapy. You will learn protocols for accelerated healing, strategies for reducing acute and chronic pain, surgery preparation, as well as hypnotherapy for dentistry and childbirth. And that’s not all. Once you have the tools of transformation, we will also provide you with effective marketing, promotion and practice building strategies. We want to put you on the track to quickly recuperating your tuition investment and creating a life-long pattern of increasing prosperity by making a difference in the world. For more information please feel free to call the Academy’s admissions team for more details. Phone 505-767-8030. “Tim Simmerman-Sierra of the Hypnotherapy Academy of America provides a superior model of the principles of adult learning in action. He skillfully sets positive expectations and clear guidelines for classroom procedures, homework and coached practice sessions. “Technology is used in appropriate ways to bring in outside speakers and to permit efficient submission of written practicum exercises. Student engagement is kept high by alternating sessions of lecture, guided practice, small group and individual work. “Well- trained coaches with small groups to provide timely feedback and suggestions to improve written and spoken practice exercises. Questions are encouraged and content is delivered with clear expectations of the practical application in real world situations. Humor and stories that illustrate important points are liberally sprinkled throughout presentations. “Other staff members of the Academy and students themselves are actively involved with contributions from their specialized fields of knowledge. Music, dramatizations, adequate breaks that permit informal sharing combines to keep energy levels and focus high during daylong training. “Written Materials are organized to provide content, practicum exercises, questions and answers for review, and sample protocols for examples. Materials are well annotated and references provided that synthesize knowledge from a broad range of disciplines from Quantum Physics, cutting edge medical knowledge and wisdom traditions from around the world. The essential underlying unity of complex material is presented and experienced in ways that are accessible and transferable to anyone interested in personal growth for self and others. “Recently, I was called to the hospital, to work on an inpatient basis, with a pregnant woman, who was experiencing extreme nausea/morning sickness to the point of dry heaves (hyperemesis gravidarum). “Her physician had prescribed every anti-nausea and additional pain killing drug available, to no avail. The patient’s physician is a renowned surgeon, who was somewhat skeptical about medical hypnosis. “Using one of Tim Simmerman Sierra’s pain control methods, I was able to assist the patient to ameliorate her pain significantly. (On a scale of 0 to 10, 10 being worst possible—she reported going from a 10 down to a 2 in severity). There is a monthly teleconference to provide on-going support for graduates. – and Earn between $100-$250 per session! Because everyone learns differently, we utilize lecture, classroom discussions and feedback sessions, live demonstrations and multimedia educational systems. Live demonstrations of hypnotherapy methods are often filmed for post session analysis. Students then have an opportunity to deeply study how to process what emerges during therapy while watching a play back. Films are carefully examined so each step is clearly understood and all questions can be answered without interrupting the flow of the session during live demonstration. The Wall Street Journal recently predicted that hypnotherapy will be one of the top career choices for the new millennium. Now you can become part of this expanding field, helping others — and yourself — as you build a stable, successful professional practice. The professional certification course at the Hypnotherapy Academy of America is one of the most comprehensive and extensive courses available. As part of our course, you will go through a carefully planned curriculum during which you will personally experience the techniques we teach. As a result, the door to your subconscious will open, helping you to tap into the endless flow of mind power. You will be able to move to your next level while you learn how to do this for others. Click here to download class schedules, tuition options and catalog or call us at 505-767-8030 to speak with an admissions coordinator.